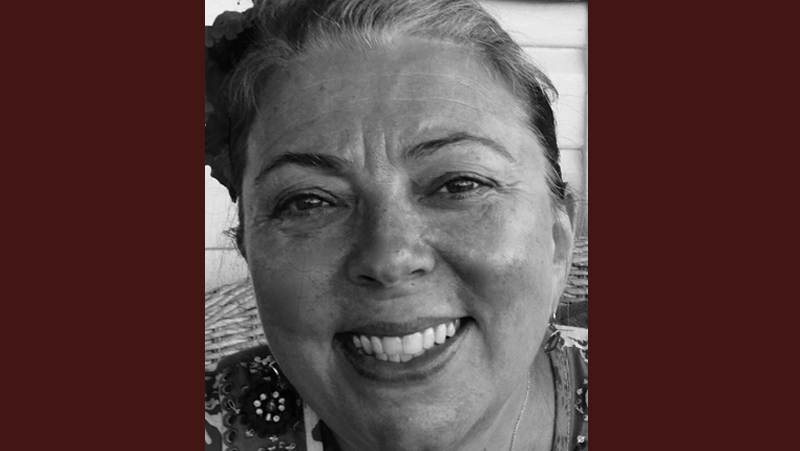 Screenworks member Rose Keeping is a Production Accountant and Art Department Coordinator who has recently moved to the Northern Rivers region. Screenworks recently caught up with Rose to find out a bit more about her work and experiences. SW: Tell us a bit about what you do in the Screen Industry and how you got involved. ROSE: Over 20 years ago I joined Moneypenny as a Production Accountant when Jane Corden first took the company over from founder, Penny Carl. Things were a lot different then – we always worked on site / location in the production offices and of course the technology was a lot more basic. Our idea of a portable computer then was carting around a Macintosh SE20. After 5 years with Moneypenny I worked as an Art Department Coordinator for a few years and then moved onto other things. I returned to Moneypenny last year as the advent of the cloud meant that I could work here in northern NSW, after having made Byron Bay my home, just as effectively as anywhere using Moneypenny’s highly developed film industry specific accounting software. SW: What is the project you have most enjoyed working on, and why? ROSE: This is my first project back with Moneypenny and working with MAP (Micro Accounting Package) is a much more streamlined production accounting role than how I worked 20 years ago. Moneypenny no longer provides Production Accountants and leaves that role to freelancers in the industry focusing more on the development and provision of intuitive and supportive accounting software. With MAP we encourage the end user to use the package to their ultimate advantage financially doing as much of the production accounting, collection of information and processing themselves with our involvement being as minimal as processing wages, cost reporting and due diligence in tax and company requirements. As production accountants working with Jane in the 90s we worked with the beginnings of MYDAES. Now working in an online/digital capacity – the software has really been developed to a point where even the crew can populate the datafile with all their information – it really is a joy to collect the data digitally without the need to create boxes of hard files. I have to say I’ve enjoyed my most recent work as MYDAES has become so intelligent and cooperative now it removes a lot of time consuming double-handling tasks in the collection of the data necessary to keep in the production of films in Australia. Going back, working as a Production Accountant on location would see you travelling a lot and with little time to get used to the idea. Often you would leave for somewhere for months with only weeks to prepare. The money person always has to arrive with cash so travelling with a tin of $20K is normal. On my way to Singapore once my wardrobe dept colleague and I were invited to the flight deck. With my petty cash tin on my knee I sat behind the pilot and co-pilot looking down as they pointed out Bali as we flew over. Then one asked ‘what’s in the box’? ‘20K’ was my reply. “Forget Singapore – let’s go to Paris!” was his cheeky reply. SW: How long have you been living and working in the Northern Rivers? ROSE: I started working with Moneypenny again late last year. I had made the move to the Byron Bay area in January last year. It seemed like a natural progression for me joining friends who had made the move years before. Finding viable work regionally however is a challenge so when Jane approached me to rejoin the Moneypenny ranks working in the MAP network I saw an opportunity in step with the modern world without having to leave the peace and green. SW: What is important to you in running a successful and creative regional business/ working regionally? ROSE: Even though all I need is wifi and my laptop I found an office base to setup in to establish consistency in my working environment. When you live in such a beautiful place that is driven by a tourism economy I think its important to ground yourself and maintain regular business hours to manifest the business you want. SW: Tell us a bit about what you have been working on most recently? ROSE: I have been working on a TV documentary for UK which started shoot mid December and wrapped mid February. Working titles ‘Simply the Pest/ Deadliest Downunder’ it is about UK Pest inspectors coming face to face with Australian pests – showcasing our most dangerous snakes, spiders, sharks and crocodiles. There were a number of shooting crews working around the country and throughout Queensland. At times throughout the shoot I needed to respond to higher volumes of work as I’m always accessible on the end of an email but generally the work commitment has been 2-3 days weekly. After processing all payment requests the Line Producer and I come together in a skype meeting to finalise the Cost Report for distribution. Even though weekly there are specific tasks that are formalized and must be completed there is also often the need to quickly cost a scenario or cashflow a situation dependent upon the differing challenges that present themselves. Interesting to note that the relationship with the Production Manager/Line Producer feels just as communicative and supportive as it would sitting in the Production office. SW: Is there anything else that you would like to share with us about you and your work? ROSE: I would encourage anyone moving forward into production with a project to get on board with us from the start. If you are concerned about cost MAP has been designed specifically for you in budgeting to your needs. If we start with you from the outset on a project you will benefit from our experience on what info needs to be collected and retained for offset apart from the basic knowledge and support we can offer throughout the production.